The road to Cusco from Nasca is a pretty long and windy road. It took us two full days to drive this route. The road first rises to a huge plateau (around 100km long) at over 4500m. 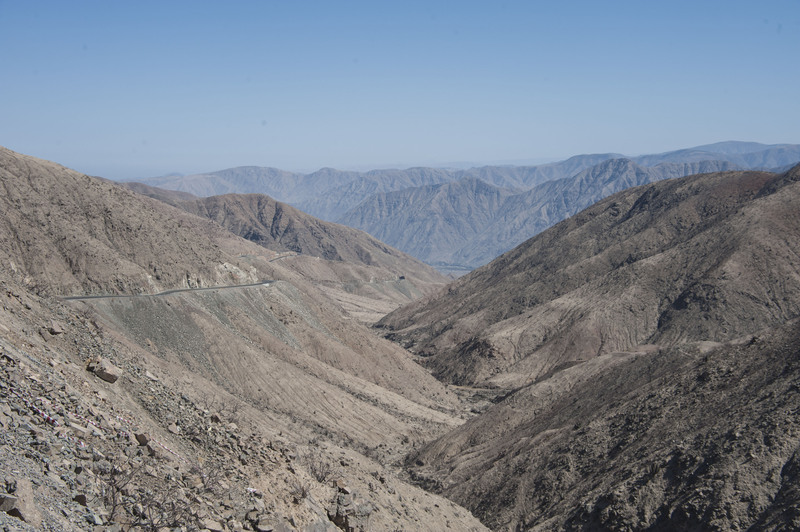 we were pretty short of breath coming up from the sub-1000m of Nasca to this height. 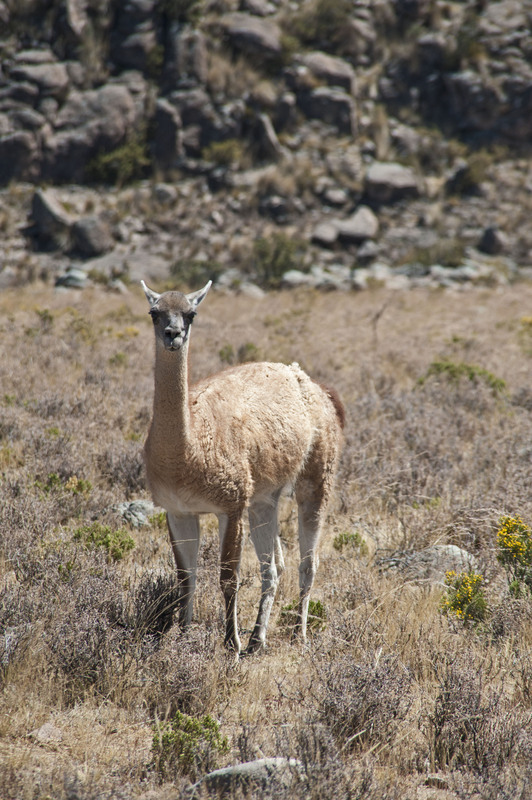 The cool thing about the plateau is it is part of the National Vicuna Reserve and we saw a couple of thousand of these wild, smaller cousins of the Llama. As night time approached we were still up at 4500m and we really didn’t want to sleep that high. We managed to make it down as far as 3600m just as the night became pitch dark. We found a nice place to spend the night, off the road hidden behind some bushes. We had a pretty restless night at this altitude and were on the way first thing in the morning. The second day of our drive to Cusco involved dropping back down to less than 2000m and then up again to over 4000m before a second drop to under 2000m and then up to Cusco at 3500m. Its not surprising these roads always take longer to drive than we think ! 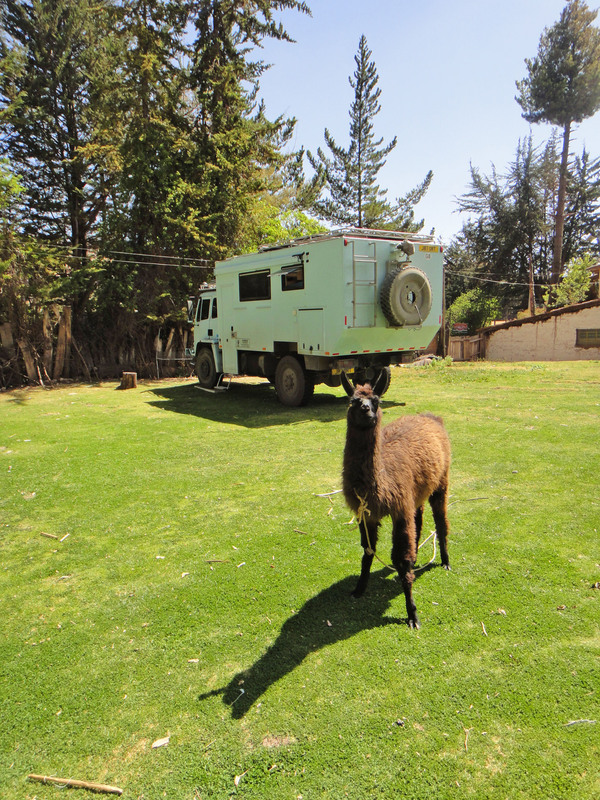 One of the most famous campgrounds in South America is Quinta Lala in Cusco. This is situated on a hill overlooking the city next to the Inca ruins of Sasqywaman. 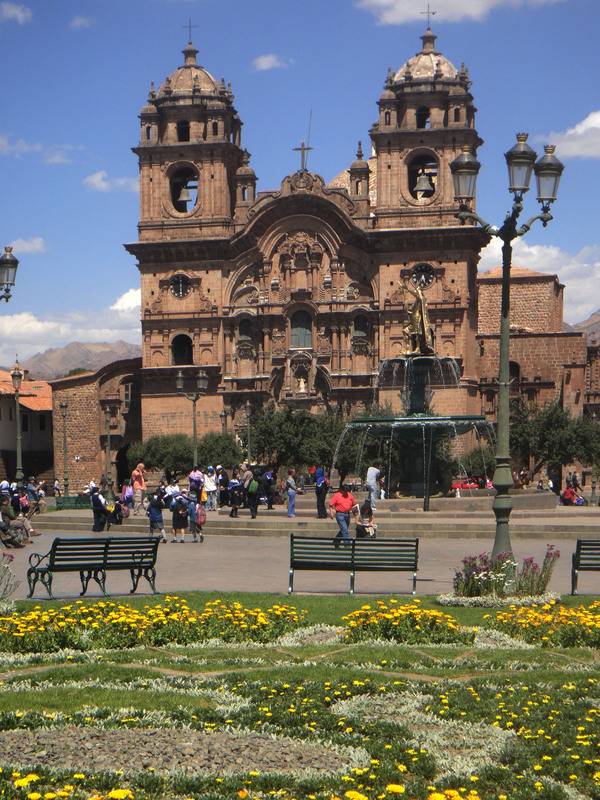 However to get there you have to drive right through the centre of Cusco (a city of 0.5 million people) and make a turn from the Plaza de Armas. This was one of those occasions that GPS was useless – ours kept on trying to make us turn down tiny roads, even up a flight of stairs in one case ! We were very pleased that we managed to the campsite with a minimum of hassle though. When we got to Quinta Lala we were surprised that we were the only people there. However over the next couple of days five other campers turned up – it was definitely living up to its reputation as the busiest campsite in Peru. 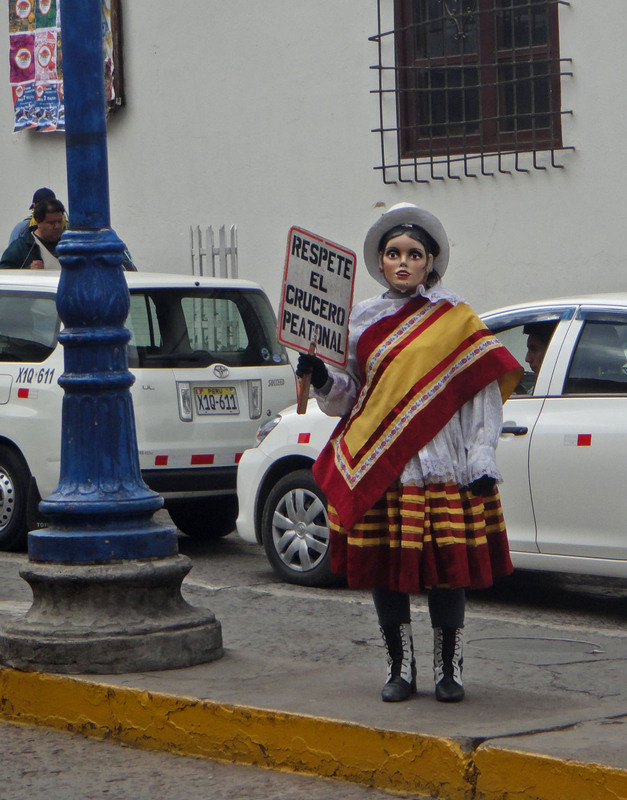 We spent a couple of weeks based in Cusco and managed to achieve some chores. First up there was some maintenance to the truck. 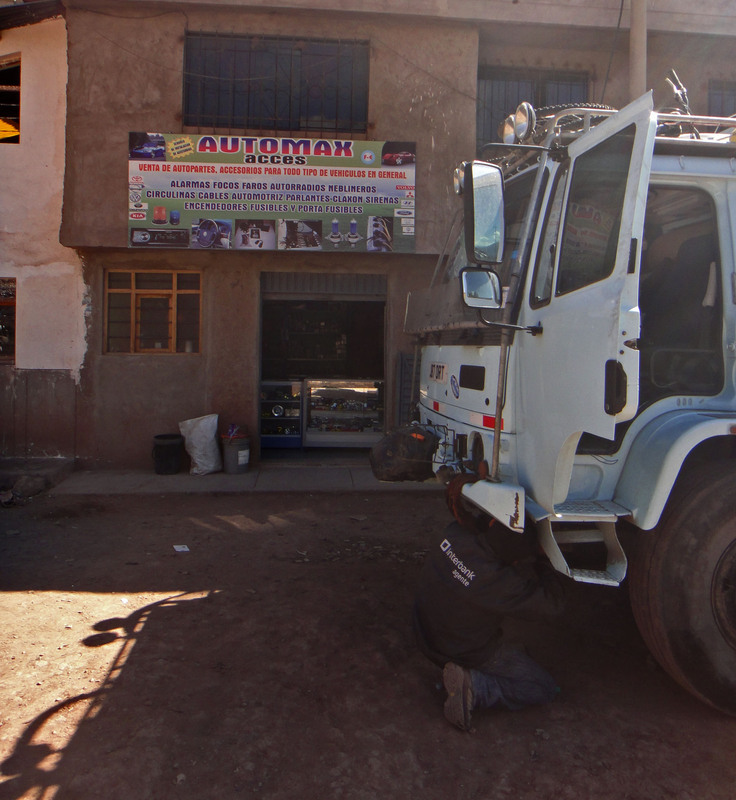 Luckily there is the Overland Truck Service that visits Quinta Lala to do any work that needs doing on site. We asked them to do an oil change, lube, fix our dodgy headlight, fix our odometer and, very frustratingly redo the rubber surround to the cab windows that hadn’t been done properly in Lima. In order to get the headlights (one light wouldn’t work but was good on full beam and as driving with lights is compulsory in many South American countries we needed it fixed) and the odometer ( showing an error code) mended we needed to drive done to the vicinity of the airport to a specialist in auto electrics and he did a great job. The odo was showing the right mileage too which was a bonus. We now feel much better equipped for the rough roads in Bolivia. 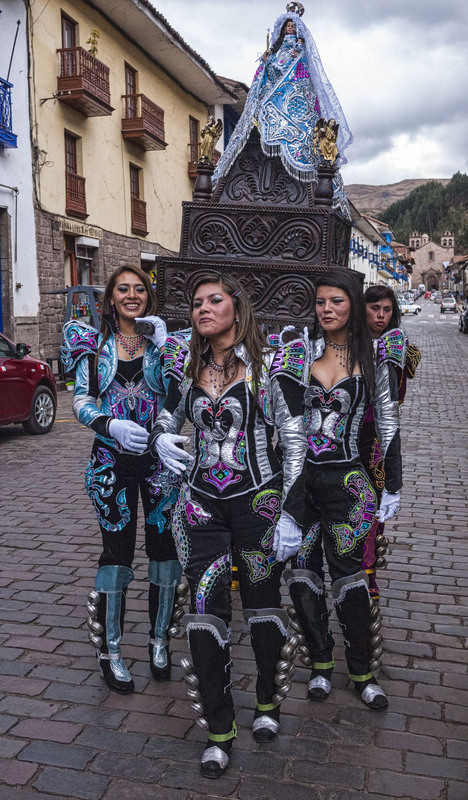 While in Cusco we needed to arrange some things to do. We wanted to arrange a trip to the jungle and spent a whole day touring agencies before settling on an 8 day trip to the Manu National Park Reserved Zone. The other thing we needed to work out was how to get to Machu Picchu. Well we made out decision and booked some train tickets from Ollytaytambo. 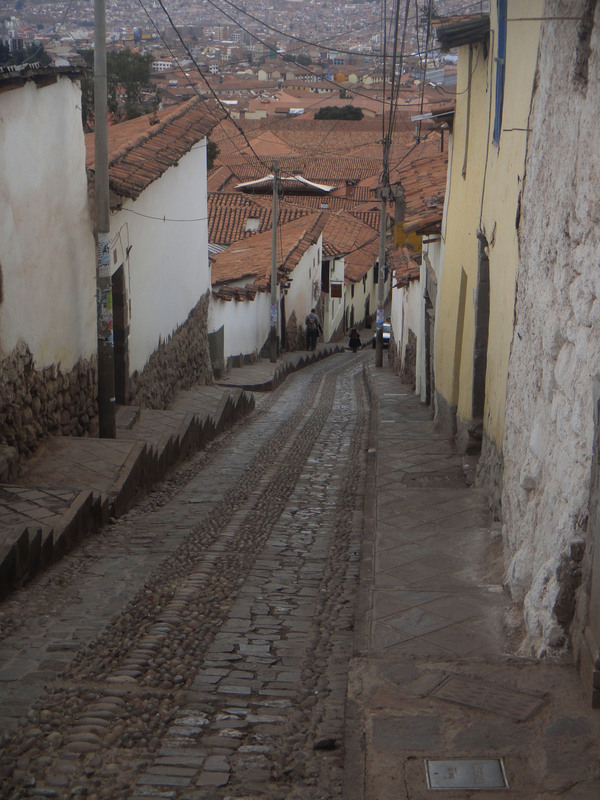 Cusco itself has a beautiful historical district. 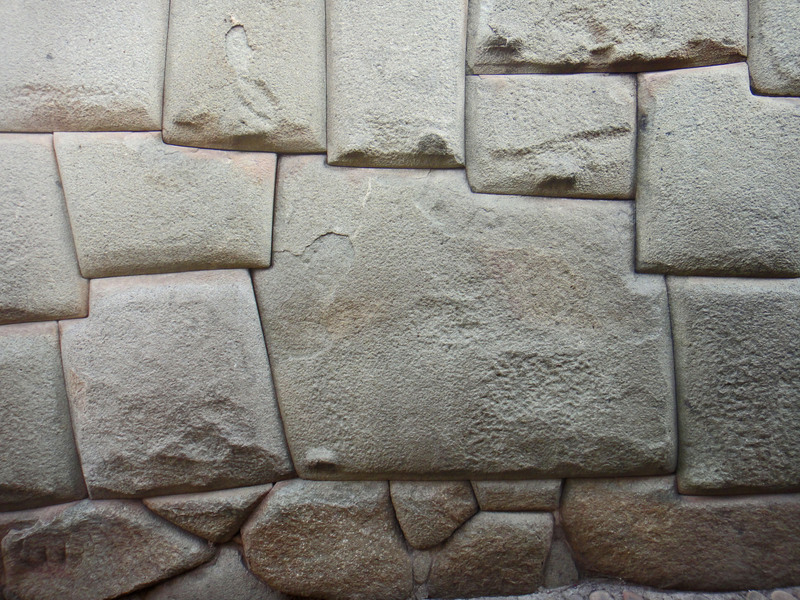 Many of the walls are partly Inca built and many of the roads are very narrow and clearly designed in the dim and distant past. There is one particular alley that is on every tourists agenda where there is a large 12 sided stone perfectly integrated in the wall. 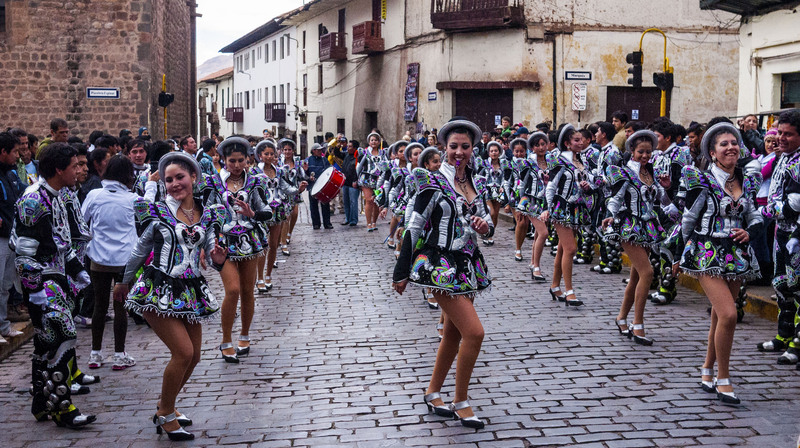 One interesting feature of Cusco is that strategically located around the central area are a number of “whackers”. These men and women are there to stop jaywalkers and will whack their signs at anyone not crossing the street on pedestrian crossings. As cusco is the centre of tourism in Peru there are what seems like thousands of restaurants and even pubs. We enjoyed visiting a British Pub “The Real McCoy” where I ate Pie, chips and mushy peas for a real taste of home. The number of tourists can also be a real downside as every few steps someone offers a massage, tries to get you into a restaurant or sell you something. Something of a surprise for such a big town though (500k people) is a lack of cinema, shopping mall or even a modern supermarket. All these things are being addressed in the next five years though. A new out of town airport is being built which will free up a lot of space in the middle of town when the current airport is shut down. Cusco Overland Service, Av. Venezuela H-10, Parque Industrial, Wanchaq, Phone: 234444. Ask for Efrin Canari Quico. They repair all the overland trucks. S13 31.956 W71 56.468. They will visit Quinta Lala and if you need to go to the workshop someone will come with you to direct you – much easier than trying to get there yourself as the roads in Cusco can be very difficult. Just found this blog it’s really interesting seeing how you cope with a truck. I recently spent a month in Brazil and Peru so really inspired to see your long journey. Good luck! Handy to know about these guys, I guess they must get a good few overlanders through to keep a business going. Damn those stairs! I considered putting the truck in 4LO and just driving up them… Lauren talked me out of it.